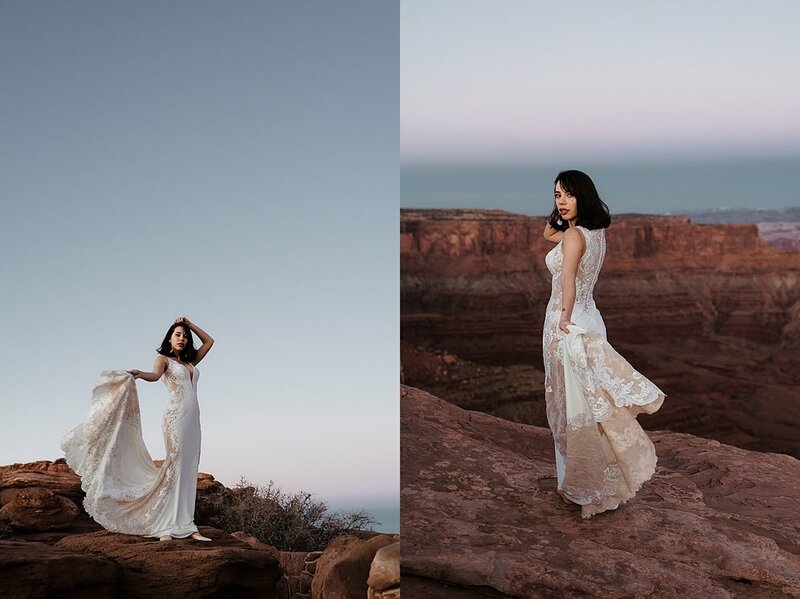 I got to work with Maggie Sottero Designs at the beginning of this year for a few shoots and I am so excited to share the first set (of probably 4 or 5 blog posts) of images! 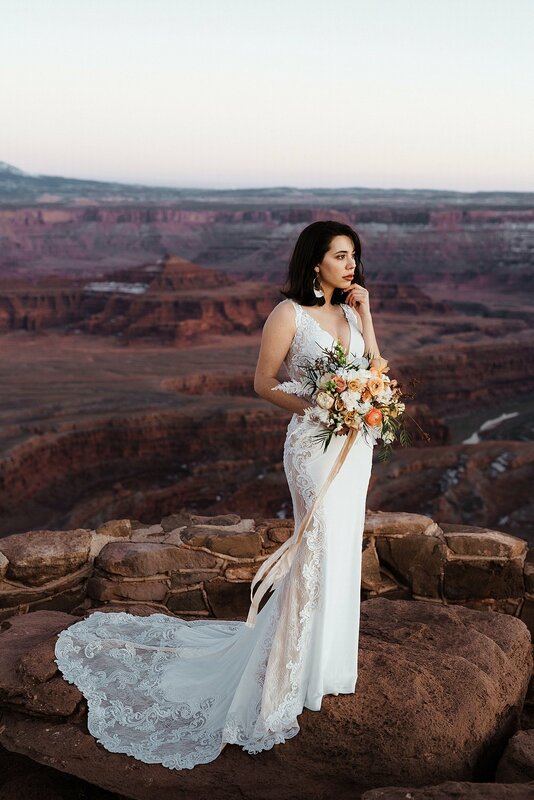 Dead Horse Point has my heart forever and always, so it was a given that we’d shoot some of these incredible gowns there. Madeline is a muse - her unique look paired with her adorable French girl haircut and just overall edginess was so fun to shoot. We road tripped down to Southern Utah and caught some sun + warmer weather during January. Madeline is wearing the Milan jumpsuit and the Bradford Rose gown.